The Bhagavadgita puts a great emphasis on the control of the mind. The mind is likened to the sixth sense, and described as fickle and unstable by nature. As an aspect of Nature, the human mind personifies the phenomenal world, its impermanance and instability. 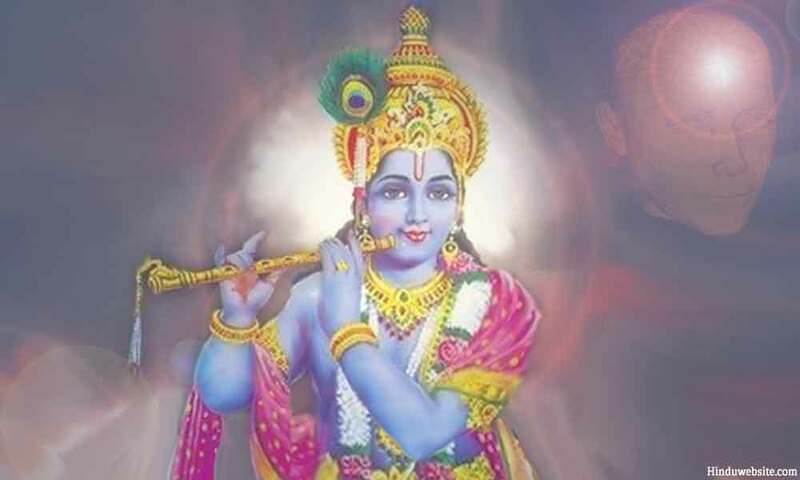 "The mind is very fickle indeed O Krishna, turbulent, strong and obstinate. I think it is as impossible to control the mind as the wind." " Undoubtedly, O Mighty Armed, it is very difficult to control the ever moving mind. However, O son of Kunti, through sincere practice and dispassionate detachment (vairagya), it can be achieved." "Undisturbed amidst three fold miseries, immobile in happiness, free from attraction, fear and anger, is called a sage of stable mind. "Who is everywhere without affection, who does not praise or loathe auspicious or inauspicious events, his mind is stabilized." "The knower of Brahman, stable of mind, established in the Supreme Brahman, shows no sign of rejoice when he achieves the objects of his desire nor agitation when unpleasant things happen to him. "Unattached to external sense objects, immersed in himself, he remains blissful. Establishing his self in Brahman, such a Brahma yogi enjoys unlimited happiness." "He who has controlled his self (mind), certainly self is his best relation, but for him the self is his enemy who has not controlled his self. "He who has conquered his self is in the company of the Supreme. In cold or heat, happiness or sorrow, respect or disrespect, he is always serene. "He who is contended with knowledge and wisdom, who is stable and master of his senses and who treats equally gold or pebbles or a piece of stone , such a self-realized soul is fit to be called a Yogi. "He is superior who maintains the same attitude towards his well wishers, friends, enemies, non-aligned, arbitrators, haters, relations, saints and sinners. "He who can withdraw his senses completely from the sense objects like a tortoise withdraws its limbs , his mastery is established." Sense object cease to torment him who practices abstention, although the taste for them still remains in his consciousness. It would completely disappear only when he experiences the transcendental life. "The sense throw out of balance even the mind of a man who has complete knowledge of discrimination and is attempting to control them. "By constantly thinking of sense objects, one develops attachment with them. From attachment is born desire and from desire comes anger. "From anger develops delusion, from delusion comes confusion of memory, from confusion of memory arise loss of intelligence and when intelligence is lost the breath of life is lost. "Freed from passion and dispassion, by keeping the senses that are acting on the sense objects under firm control and by following the dictates of the inner soul , a person can gain the mercy of God." "Let the yogi constantly keep his mind concentrated in his self, sitting alone in a secluded place, self-controlled, desireless and without any sense of possessiveness. "In a clean place placing his firm seat, neither too low nor too high, covered with soft cloth, deer skin and kusa grass. "There upon, sitting on that seat, with single pointed concentration, keeping his mind, senses and activities under firm control, he should practice yoga for self-purification. "With peaceful mind, fearless, practicing brahmacharya (vows of celibacy), mind subdued and established in Me, the Yogi should sit and make Me his ultimate goal. "Practicing thus, ever established in the Self, with ordained mind the Yogi attains the highest peace and nirvana in My world. "Yoga is neither for the voracious eater nor for the poor eater. It is neither for the excessive sleeper or for the excessive sleepless. "He who has appropriately controlled his diet and recreation, appropriately performs all his works, appropriately controls his waking and sleeping periods, his yoga reduces his sorrows. "When the disciplined mind is established in the self, and when one becomes impervious to all the desires, he is said to be established in Yoga. "A lamp in a windless place is the metaphor that can be used to describe a Yogi whose mind is under control and who is united with his inner Self. "That state in which he finds unlimited happiness, in which the intellect understands the transcendental (that which is beyond the senses) and wherein established he never moves from truth"
In the following verses (Chapter XI, 7 & 8) Lord Krishna gives the following assurance to his devotees. "I rescue them, O Partha, whose minds are set upon Me from the ocean of mortal samsara (worldly life). "Upon Me fix your mind, in Me operate your intelligence and thereafter without doubt you shall live in Me only. In Chapter 17, Verse 16, we come across the definition of austerity of mind,"
"Mental satisfaction, gentleness, silence, self-control, purification of thoughts, this is called the austerity of mind."